Assuming that you’ll never encounter one virtually guarantees that you will. Think of the people you trust the most at work, at home and in your social surroundings. People in your sphere of influence, whose company you keep. Now think about one of them stealing your money. Hard to imagine, right? But this is reality for the clients I deal with every day as a forensic accountant. I am currently concluding another significant fraud examination for a client who trusted her bookkeeper infinitely. Yet again, the thief in this company was an employee my client kept close. The red flags were waving every time my client asked for basic financial reports from her bookkeeper. Time and again, answers to basic financial questions were met with plausible explanations, but no documents or proof. After all, the client trusted this employee with the keys to her kingdom. These genuine emotions, which range from sadness to anger, are not anomalies. Whether it’s the owner of a small mom-and-pop store or the CEO at a large, publicly traded entity, I meet the same reactions and the same feelings in every case. Fraud is a risk that all organizations face, and no one is immune. While fraud is not happening at every company, there is opportunity for it to happen at every company. According to the Association of Certified Fraud Examiners’ 2016 Report to the Nations on Occupational Fraud and Abuse, on average, companies lose 5 percent of their revenues to fraud-related events. What could your organization do with an additional 5 percent of revenues in the bank? The “fraud couldn’t happen here” mindset is often what lulls executives into thinking they are safer than they really are and that additional oversight and segregation of duties isn’t important. However, there is one common denominator in every fraud-related case in which I’ve been involved: The fraudster was someone who held a position of trust with ownership and/or management. Fraudsters use their ability to be liked and trusted to gain access and perpetrate their crimes. Typically, victims discover the fraudster has been stealing for more than a year and losses typically exceed $100,000. As you understand risk in your organization, is fraud risk part of that discussion? Even more important, are you looking at the right folks when you consider the risk of fraud? In the case of the client I mentioned earlier, we found her bookkeeper was diverting checks written to the company and depositing them into her personal account. Are you currently identifying who has control over those processes and whether funds could be diverted before they make it to your bank account? When you think of all the ways funds leave your company, whether through payables, payroll, credit cards or expense reimbursements, are you identifying who is involved in those activities? Is someone reviewing bank statements and canceled checks? Have you performed an audit to ensure all vendors are legitimate vendors of your company and not a “shell” vendor? Are you ensuring that your people are being paid wages, salaries and commissions commensurate with agreements? Are expense reimbursements scrutinized? Instituting internal controls and fraud risk assessment with the goal of protecting your assets and keeping your employees safe in their jobs should be key for every organization. After all, you never want to experience the heartbreak caused by a thief in your company. 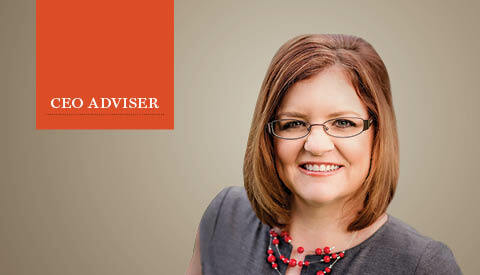 TIFFANY COUCH, founder of Acuity Forensics in Vancouver, Washington, is an expert on fraud and forensic accounting and the author of The Thief in Your Company. Reach her at tcouch@acuityforensics.com.